We will serve this mission by providing financial support, infrastructure, and income generating projects for the homes and communities we serve. Within the first ten years of operating it is our wish that all of the homes we sponsor will have nice, livable home structures where each child has a bed, a space for their clothing and shoes, a clean place for bathing and using the restrooms, and a community area where meals can be shared. We also wish for the children in the homes we serve to be taking in three nutritionally balanced meals a day, with proper variety and sustenance. Health insurance and healthcare is are also things we wish to provide to all the children we serve. For those communities we support, it is our wish to see that all of the vulnerable children in the village are attending school with the proper books, uniform, supplies and with their school fees and feeding fees paid. 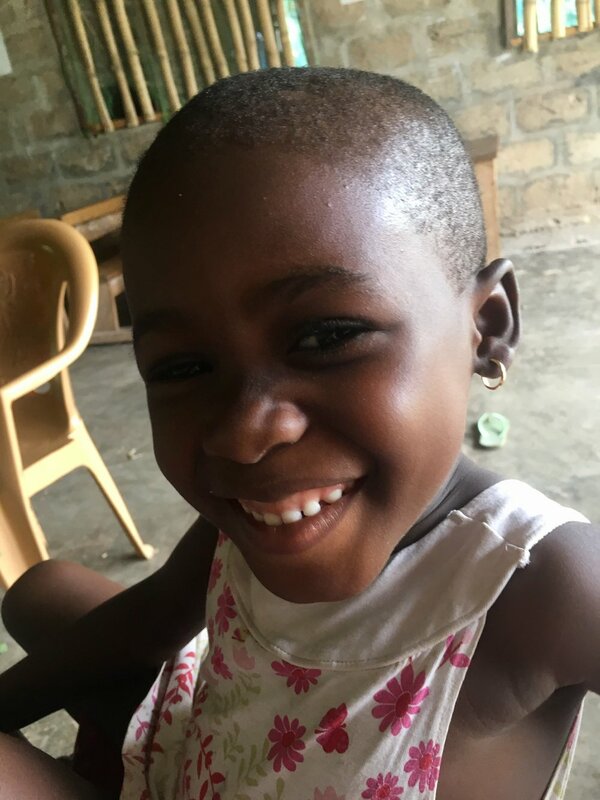 In addition, we would like to see that all the children in the village have up to date health insurance in case someone falls ill and need medical attention. Long term, we would like a facility where the children can go to study and get extra help from tutors if and when they need to help build community as well as support their academic success. Missahoe Orphanage is a small Orphanage located in Kpando, a small village in the Volta region of Ghana. Missahoe orphanage was started by Mama Mawusi Dotse in 2003. The founder, never planned on owning an orphanage though. Mama Mawusi was visiting Kpando on holiday when she heard crying very late at night outside her building. She went outside to find two young boys abandoned, alone, and crying for help. She immediately took them into her custody for the night. In the morning she brought the two boys to social services, who confirmed the boys had been abandoned by their parents and were in need of care. When asked, mama Mawusi agreed to take the two boys into her care. In the coming weeks Mawusi registered the boys for school, and on the first day they attended they came back with six other children who were homeless and wanted to go to school. After bringing those children to social services they again asked Mawusi to take the children into her care, and so Missahoe orphanage began, named after one of the other family businesses. As word got around, more and more children were brought to the home by social services as well as by families who no longer wanted the children and simply just left them. Mama Mawusi began receiving more and more children from social services who were in need of a safe place to live. She took each and every child into her care helping them through all of their adjustment processes. The kids reported that they didn't want to go to school because when they did they were labeled as "orphan children" or "children in need of special treatment" and they did not feel comfortable. Upon hearing this Mama Mawusi decided that the only way to combat the bullying and singing out of these children, who had already been through enough, was to start her own school where they children could be educated in a judgement free zone. As Mawusi began with the school, it caught the attention of many of the people in the surrounding villages. These people begged Mawusi to allow their children to attend the school as well. Reluctantly, Mawusi agreed. Today, the school houses around 400 kids daily, and only about 100 of them pay school fees. Mawusi allows vulnerable children in the surrounding villages to attend the school free of charge, as every child deserves the right to an educated regardless of the situations they were born into. The orphanage houses 37 kids who Mawusi has taken into her care full time until they are finished with secondary school and able to fully support themselves. The home will always be open to them whenever they need help as they have all become a very close and tight knit family. 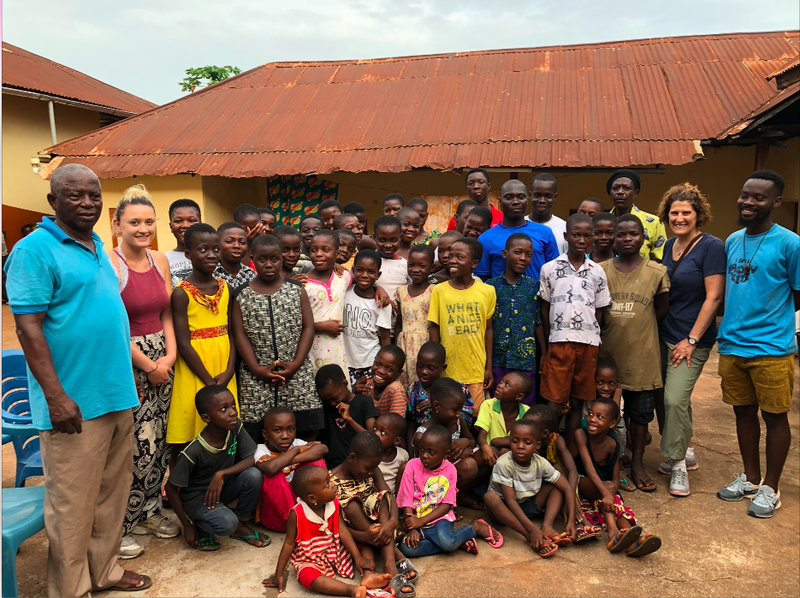 In May of 2018, founder and CEO of the Volta Children's Foundation McKenzie and her mother Lori visited Misshape children's home for the first time. There, they met with Mama Mawusi and learned how the home works and what their immediate and long-term needs are, and thus a new partnership was formed. Children of Tsito village with our executive director and director of finances.